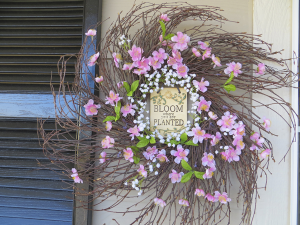 Make the Home Sweet Home embroidery pattern to brighten up your decor. If you’re a beginner, don’t worry! 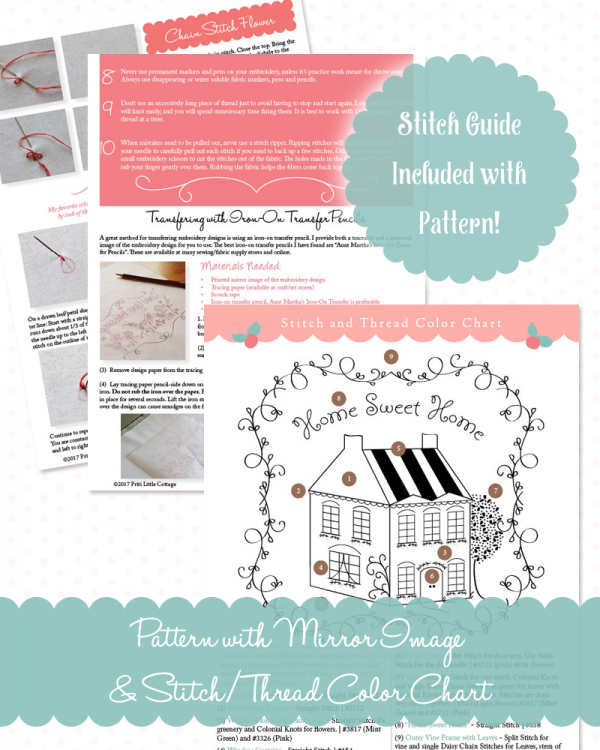 This pattern comes complete for the one who needs a bit of extra help! 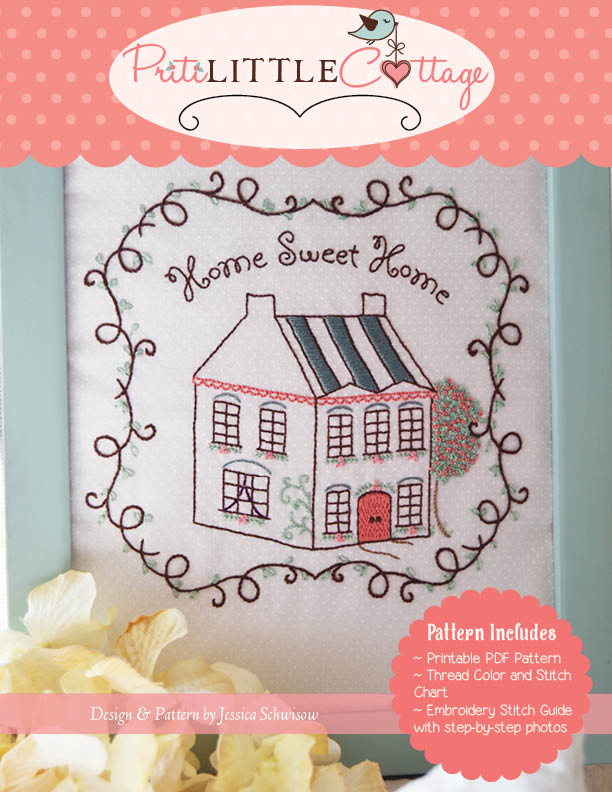 Home Sweet Home Embroidery Pattern, a Priti Little Cottage Design ~ A sweet design for your home decor. 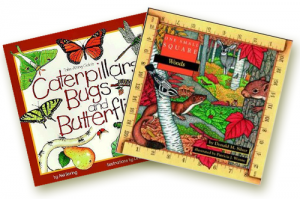 Pattern finishes at 7″ x 7″. This product is a digital pattern, not a physical framed product.